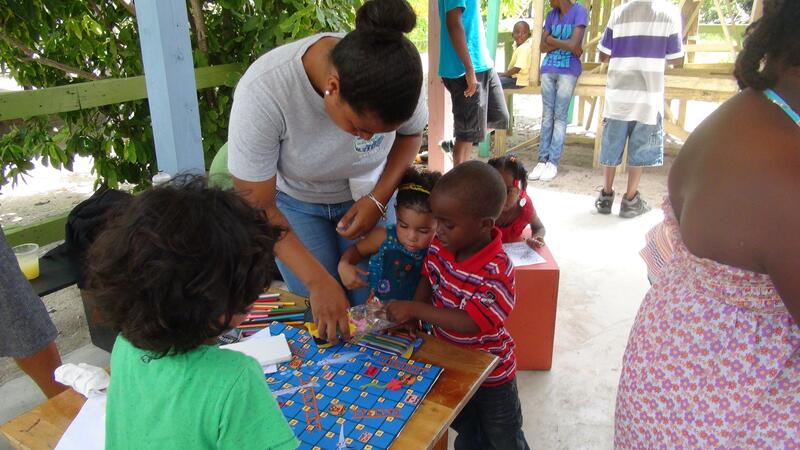 Volunteer with children in Belize, and work in kindergartens and primary schools. You’ll focus on helping children who struggle with reading, writing, and counting. Play games with them, hold arts and crafts lessons, or build a puzzle. Doing these kinds of activities will help build a solid foundation for their education. We have a long-term plan in Belize to help solve the problem of low rates of literacy and numeracy in young children. These issues set them up for difficulties later in their education. You’ll contribute to this meaningful work and gain practical childcare experience at the same time. You’ll live in San Pedro, a peaceful fishing town, and stay with a local host family. They’ll cook delicious dishes for you each day and you’ll experience life in San Pedro as a local. 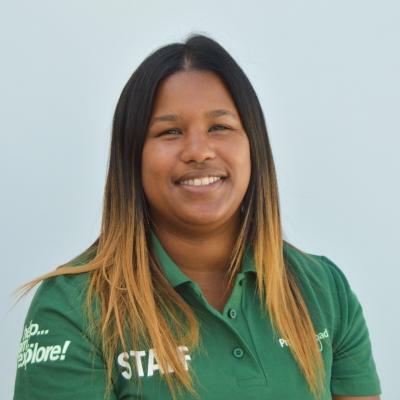 Is volunteering with children in Belize right for me? 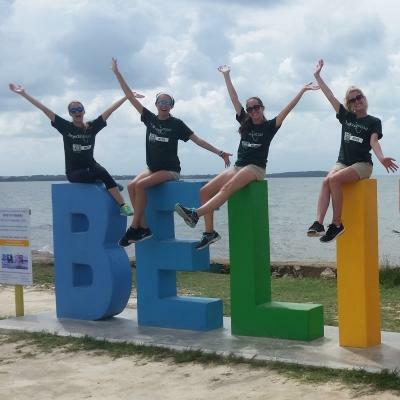 Volunteer work with children in Belize is right for you if you enjoy working with children, and want to help others while travelling in the Caribbean. You’ll gain plenty of childcare experience, which can help your future career. This is a great way to see if a career in childcare or teaching is for you. Best of all, you’ll become part of our long-term efforts to support children in Belize. You don’t need any previous experience or qualifications to join. However, you need to speak at least basic English to run literacy lessons. Don’t worry about being left alone in the classroom! You’ll work with local teachers and caregivers, and you can reach out to Projects Abroad staff for advice and help at any time. You’ll have access to an online database with resources you can use. We also run regular workshops for all of our Childcare and Teaching volunteers. You can exchange ideas, discuss challenges, and more. You’ll work closely with young children, teaching them English and numeracy. For example, you could run lessons with small groups of students. With the help of your project supervisor, you can express your creativity by coming up with exciting ways to make lessons fun for both you and your students. You’ll also personalise your lessons so that you can focus on what each child is struggling with. For example, you could draw different fruits and vegetables together and use your pictures to teach children about colours and the names of food. Or do addition and subtraction sums using seashells to make learning visual. Learning isn’t all about words and sums. Children learn through play, so games, sports, and art lessons help their physical and mental development. It’s all about giving children a chance to explore the world and their abilities, and building their confidence at the same time. You could run arts and crafts lesson to make animal masks and use these to put on a play with the children. Or compete in a three-legged race to teach teamwork and promote physical development. During regular workshops with our local team, you’ll upload this information to our Global Impact Database. This database enables us to keep track of each child’s development, and track the work we do throughout the world on all of our different projects. Read more about how the database works. You'll also create resources to help improve the learning environment. Get out the coloured cardboard, crayons, and glitter glue! Make fun flash cards, put up posters about the importance of hygiene, or design your own educational game. The sky’s the limit for the creative ways you can make educational resources and the placements can continue to use these long after you’ve finished your project. 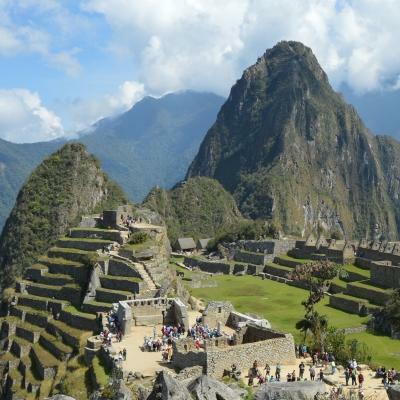 Where in Belize will I be working? 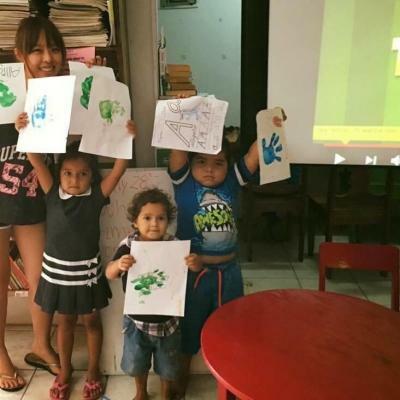 Our Childcare Project is based in San Pedro, a small beach town in Ambergris Caye, the largest island off the coast of Belize. The town is home to over 15,000 people. As you explore the streets, you’ll see locals zooming past on bikes or golf carts, which are common forms of transport in this area. The communities you will work in can look drastically different from idyllic postcards, with rough, muddy terrain often littered with rubbish. 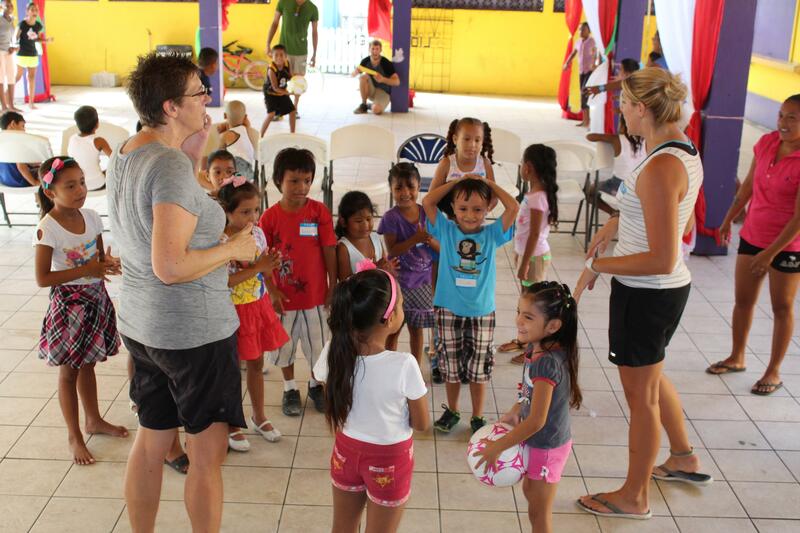 Volunteer work with children in Belize is challenging but an extremely eye-opening experience. You’ll work with children in kindergartens and primary schools. They’ll be less developed than the schools you’re used to, making your role there even more important. On a typical day, you’ll wake up with the sound of waves lapping the shore and the calls of seagulls as your alarm clock. Your host mother might have a plate of fresh fruit set out on the kitchen table. You’ll have breakfast with your host family, while they teach you Spanish vocabulary and you tell them about life in your home country. Monday: Work with children in the classroom and gather data for development checklists, which form part of our Global Impact Database. Tuesday: Work through literacy exercises with the children in small groups. Wednesday: Work through the literacy programme with students and join a workshop about childcare with your Project Supervisor. Thursday: Work through the literacy programme in the morning and spend the afternoon monitoring children’s development while running fun activities. Friday: Continue working through development activities and monitoring the children. After this, you will go back to the Projects Abroad office to input the week’s data into the database. You’ll do all of your lesson preparation at our office, where you’ll have access to materials and internet. Your weekends will be free, giving you the chance to explore Belize. Dive along the Belize Barrier Reef or relax on the white-sand beaches as you watch the sun setting over the sea. 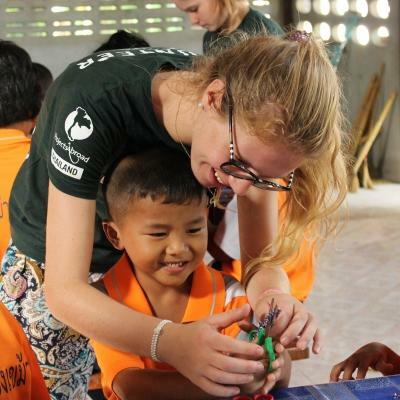 Have dinner with your host family, and learn more about the different volunteers sharing in this experience with you. The aim of this project is to improve the literacy, numeracy, and early childhood development of children in San Pedro. 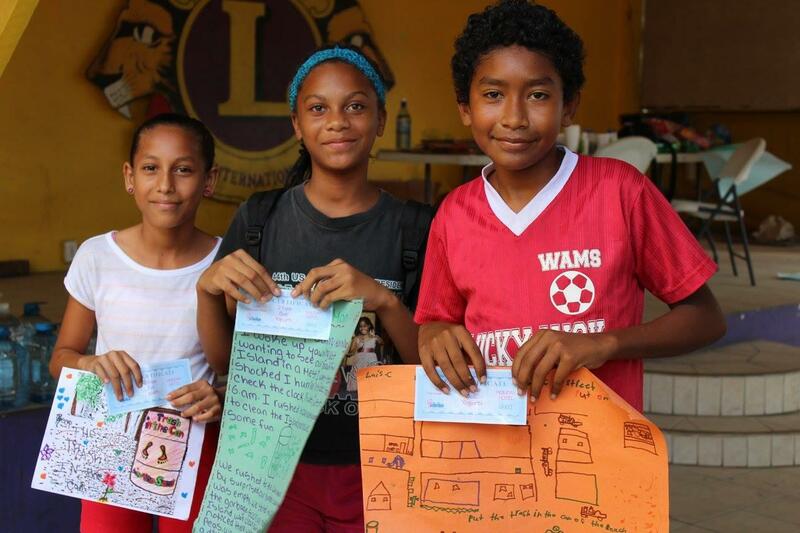 In Belize, many young students are often immigrants from Spanish-speaking countries. They struggle with literacy, especially in English, and need extra support. However, local teachers are often overwhelmed. Classrooms are overcrowded, making it more difficult to give struggling students more attention. On top of that, many parents are illiterate themselves and work several jobs to keep their families afloat. This means that parents don’t have the skills or time to support young children with learning at home. Help us achieve these long-term goals by joining a volunteer opportunity with children in Belize. 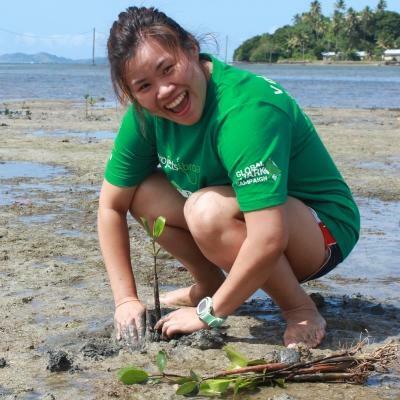 The best part of this placement was that I had the freedom to plan my very own classes, so that meant we spent a lot of class time on the beach, exploring nature to fulfil the purpose of playful learning.